Parker is an industry leader in hydraulic parts manufacturing and design, and using their parts can often improve the performance of your equipment dramatically. Parker’s excellent reputation is due in large part to the fact that they pay equal attention to engineering, manufacturing, and quality control, and make sure every activity is conducted in accordance with their standards for excellence. Whether you use Parker hydraulics in Corona CA throughout your equipment, or just for some of the most important parts like pumps or hoses, you’re sure to see a big benefit. Some of Parker’s exciting product innovations include zero leak sealing technology on Parker piston rod cylinders and easy-adjust Parker Colorflow valves with precise, color-coded settings. 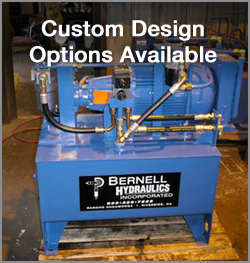 Shopping with Bernell Hydraulics is quick and convenient. We offer several ways for you to get your Parker hydraulics in Corona CA. You can either come browse the shelves at one of our three authorized ParkerStores, have us deliver and install the part at your worksite, or have us ship your new part anywhere in the world. If we don’t have the part you need in stock, we will order it direct from Parker for you. No matter which parts delivery or pickup method you choose, you can rest assured that we’ll work hard to make sure you get your part as quickly as possible, so you can get your equipment back up and running right away.